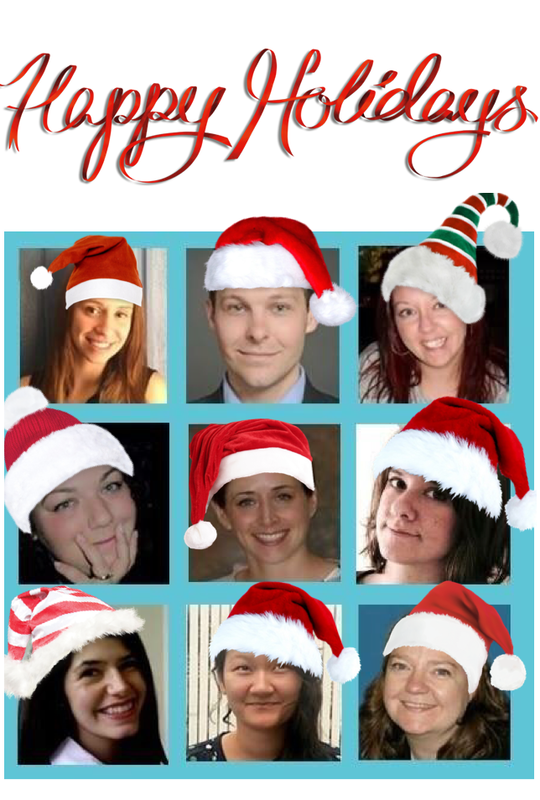 Holiday Wishes and Wish Lists from the TBA Agents! We’ve had a fantastic 2015 here at TBA, and are all very much looking forward to 2016. January is always an exciting time to dive into our submissions inbox and look for that gem that we’ll be talking about all year. So, with this in mind, we’ve compiled a wishlist for all the TBA agents, and included some festive questions to see what the agents will be getting up to over the holidays! • I’m really looking for YA right now, especially big swoony romance or an updated Buffy. • I’d also love animals and anthropomorphic characters for MG or YA. • And to be a little specific, can someone send me a MG or YA set during one of the 1800s/early 1900s World’s Fairs? Ideally a mystery. Every year, my family put on our ugly Christmas jumpers and do a giant Christmas jigsaw puzzle. Mum’s rule is that you need to do all the edge pieces first, but my husband usually starts building something from the middle, then he gets told off. That’s become a tradition in itself! What was your favorite read this year? Picture book fave is BUNNIES by Kevan Atteberry; fiction fave is PAX by Sara Pennypacker. • Moving, layered, thematically rich middle-grade novels that dig deep into the turning points and emotional experiences of the middle-school years. • Gripping, literary YA with a great hook. Romance included, though not necessarily the main story line. I’d especially love something with a historical angle. • Epistolary novels; a novel-within-a-novel; a journal format; secret letters; found documents – I’d love to see any of those elements in a story for MG or YA readers. • A story that, in some way, is about memory, writing and the way we tell our stories, again for either YA or MG.
Every year, I make my grandmother’s Persimmon Pudding for Christmas supper. I grew up having this magical dessert: the persimmons transform from a sour, puckering fruit into the most delicious, slightly gooey cake that tastes of cinnamon, though there’s none added. YUM. So deeply PRO. I have a cherished Christmas playlist that’s over six hours of every Christmas song you could ever hope to hear, from The Waitresses to Rufus Wainwright to Eartha Kitt to the Pogues. I have to force myself not to start until Dec 1! THE THING ABOUT JELLYFISH by Ali Benjamin is beautiful and so close to character; a pretty much perfect read for me. THE PRINCESS AND THE PONY by Kate Beaton is just hysterical. Every time I read it – and I read it to my seven year old a lot – I can’t help laughing at that pony! • Fantasy novels (for any age) with vivid world-building, such as Lloyd Alexander’s Chronicles of Prydain, Jonathan Stroud’s Lockwood & Co. series, Leigh Bardugo’s SHADOW AND BONE, Susanna Clarke’s JONATHAN STRANGE AND MR. NORRELL, Naomi Novik’s HIS MAJESTY’S DRAGON, or THE MAGICIANS by Lev Grossman. • Fantasy and/or adventure middle grade fiction, a la ARTEMIS FOWL or THE SPIDERWICK CHRONICLES. • Funny, voice-driven middle grade stories, like Tim Federle’s BETTER NATE THAN EVER, Tom Angelberger’s THE STRANGE CASE OF ORIGAMI YODA, Geoff Rodkey’s THE TAPPER TWINS GO TO WAR, or Gary D. Schmidt’s OKAY FOR NOW. • Works of adult speculative fiction, thriller, or horror, along the lines of NIGHT FILM by Marisha Pessl, THE ROOK by Daniel O’Malley, THE ALIENIST by Caleb Carr, or just about anything by Joe Hill. Probably It’s a Wonderful Life. There have been many others before it, but this one endures. I know it’s cheesy, some might say clichéd, but for me, it’s classic. My favorite read this year was NIGHT FILM by Marisha Pessl, which ran the perfect tightrope act of suspense with a lingering suspicion of the paranormal. It’s been a long time since a story has keep me guessing that much and still left me feeling completely satisfied. Jenny is currently closed to queries; look for her new wishlist in the new year. • A sweeping literary novel (YA or MG) that tackles big diversity issues — written by someone with experience of those issues. • A YA fantasy that’s set in a brilliantly-realized world we’ve never seen before. • A witty middle-grade contemporary novel with a classic feel. • The Great British YA Contemporary Novel. Big voice, big themes. • Something I don’t know I’m waiting for that sweeps me off my feet! 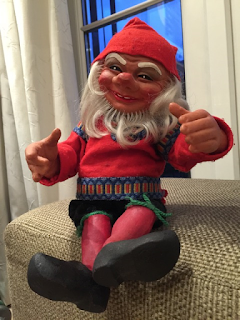 When I was a little girl, I was given this Norwegian nisse, and every Christmas he makes his appearance in my house. Inexplicably, my family are never as happy to see him as I am. His name is Vams. Pro! Bach’s Christmas Oratorio while I’m baking cookies, Ella Fitzgerald and Harry Connick, Jr. while I’m wrapping presents, and Run-DMC’s “Christmas in Hollis” when both of those chores are done. But every year I do the Little Drummer Boy Challenge, so I have to be careful to not to get knocked out by careless radio listening. Aside from my clients’ books? I’d say THE WINNER’S CRIME by Marie Rutkoski. She writes some of the best YA fantasy going. • Above all, DIVERSE VOICES AND AUTHORS. As a diverse agent, I’m looking to represent and promote stories of diverse experiences, backgrounds and people, straight from their own mouths. • Contemporary YA or MG, written by and featuring diverse voices. In particular, I’d love to see more Muslim protagonists, and deftly told stories of the immigrant or first-generation experience. Bonus if the writing is also lyrical. • Really funny, strong female friendship stories. Something super irreverent. Bring me young women dealing with very present feminist issues like insane dress codes. YA or MG.
• Fresh vampire YA with a completely new and unexpected twist. Toss-up between Home Alone and Home Alone 2. I always think I’m pro until I listen to it. • Still searching for a deep, dark, twisted YA horror, could be contemporary or could be period — as long as my skin crawls! • Would love a solid YA romance, not bubble-gum and not angsty-just-cause, but a high-stakes, romance that makes me hug the book every time I have to leave it go do something else. • YA and MG fairy-tale retellings, period, contemporary, fantasy, sci-fi, all sub-genres welcome! • Female-centric thrillers with unreliable narrators and twists that make my head happily ache. Conventionally stiff dinner at one nana’s house… boozy Uno-playing after-party at other nana’s house. Tell us about a favorite holiday memory from your childhood. I wanted this mouse figurine. I was about seven, and I wanted this stupid, expensive, inch-tall mouse figurine. But my father went out and got me a handmade Irish wool hat with a matching scarf instead. (He never bought presents, my mom did… but this particular year he picked something out for me). I threw a fit saying Santa wasn’t real and didn’t hear me and didn’t care! Next Christmas, under the tree, was the mouse figurine wrapped in a different paper than the rest of the presents, with my name written in a different handwriting – all to help me believe in Santa Claus. To this day, I still wear the hat and scarf (I treasure them, actually) — don’t know where the mouse is. PIE, in like an obsessive, righteous, preachy sort of way. PIE. • A well-written and unsettling psychological domestic suspense novel. • I would love a literary novel (not a thriller) set in the contemporary Middle East. • I’m always, always on the look out for smart contemporary romances that have a strong hook. Tell us about a fun holiday tradition. Every year we go the Old Bethpage Village Restoration Candlelight Evening. OBVR is a restored 19th-century village on Long Island and, during the holidays, the entire village is lit up with candles lining the streets and homes and the more prepared guests are equipped with flashlights. There’s smores-making and caroling and it’s all very quaint and adorable. • Interesting, fun and of-the-moment pop culture and non-fiction projects! A favorite holiday memory from your childhood? Christmas has always been a summer holiday for me. Nothing better than Christmas at the beach. So trifle and ice-cream, not hot cocoa and gingerbread. If you have any of our wishlist books, or want to submit to a TBA agent, please click here for our submission details. 2 Responses to Holiday Wishes and Wish Lists from the TBA Agents! 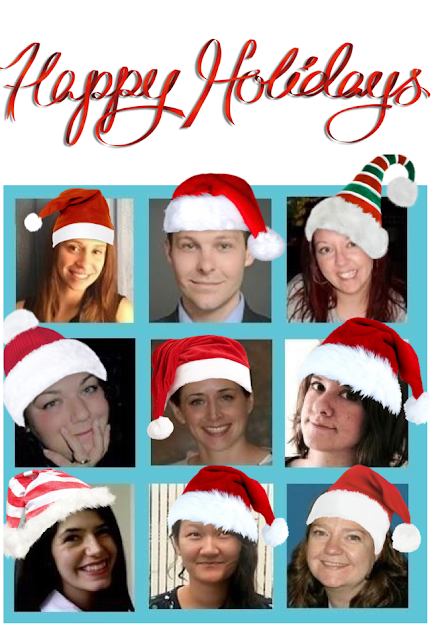 Happy, happy holidays, all you lovely people at The Bent Agency.